Coasty are proud to present for sale Herons Reach. 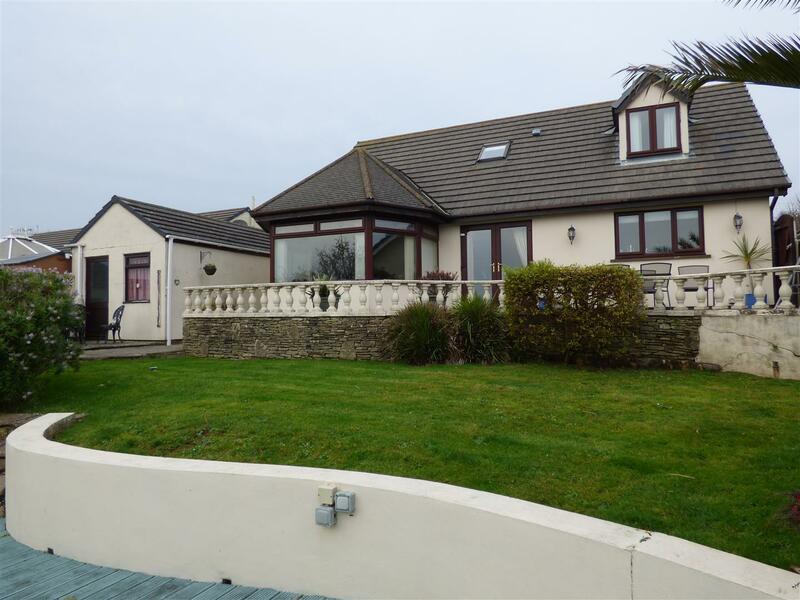 This is a deceptively spacious 4 bedroom dormer bungalow, with the most exceptional sea and countryside views. 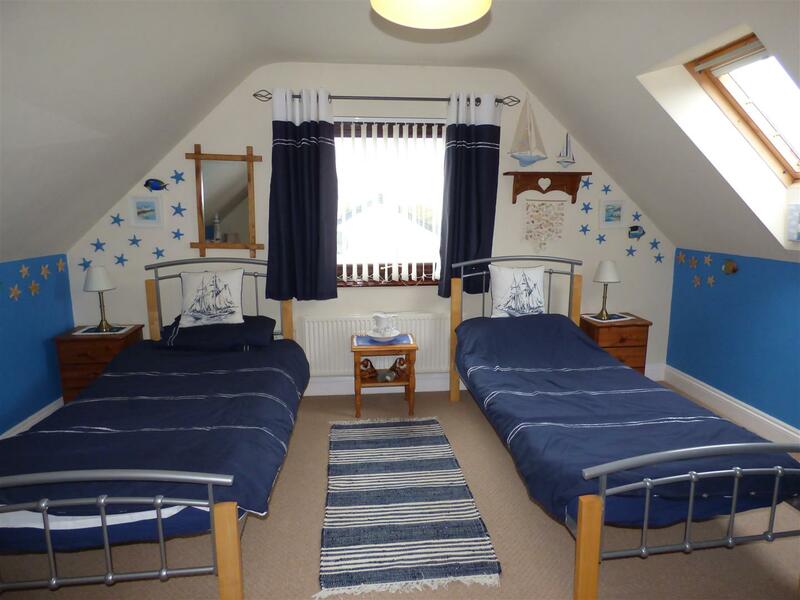 Located in a quiet part of Pembroke Dock the views from most of the rooms are really quite lovely. 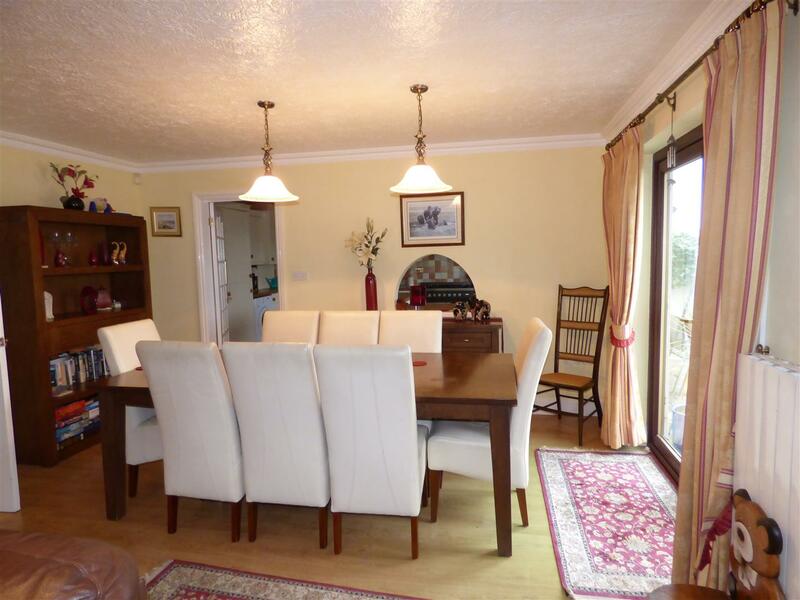 All rooms are spacious and well thought out to take full advantage of the views, this property is currently utilised as a successful holiday let, but would serve equally well as a family home, or a peaceful and quiet retirement home. 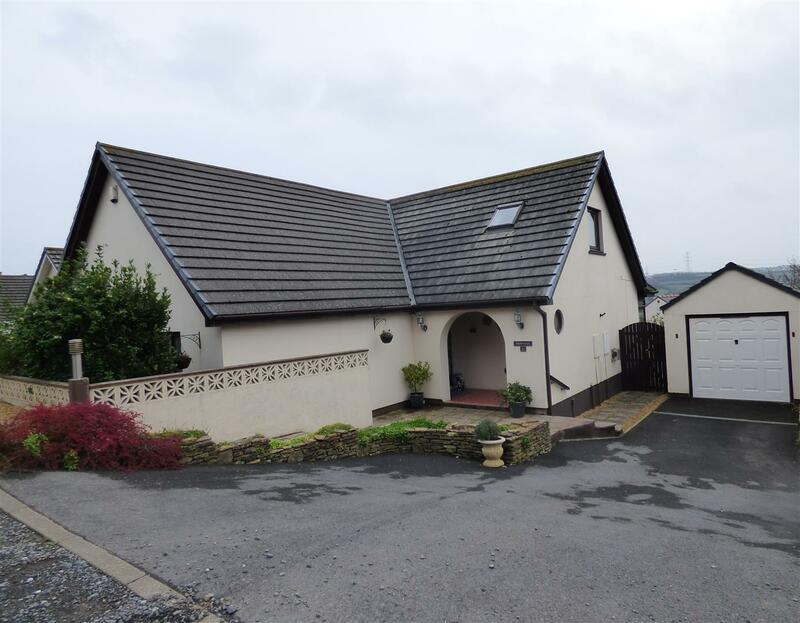 A perfect spot for a golf aficionado with the golf club a mere half a mile away, and all of the attractions of Pembrokeshire within easy travelling distance. On the outskirts of Pembroke Dock with the Irish Ferry links and twice daily sailings to Ireland. 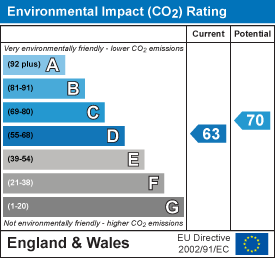 Close by is the unique and historic town of Pembroke, and across the water by way of the Cleddau Bridge, the county town of Haverfordwest, and the harbour town of Milford Haven with its bustling marina. Archway into the porch, with tiled flooring attractive stained glass round window to side, ceiling pendant light, wooden clad ceiling. 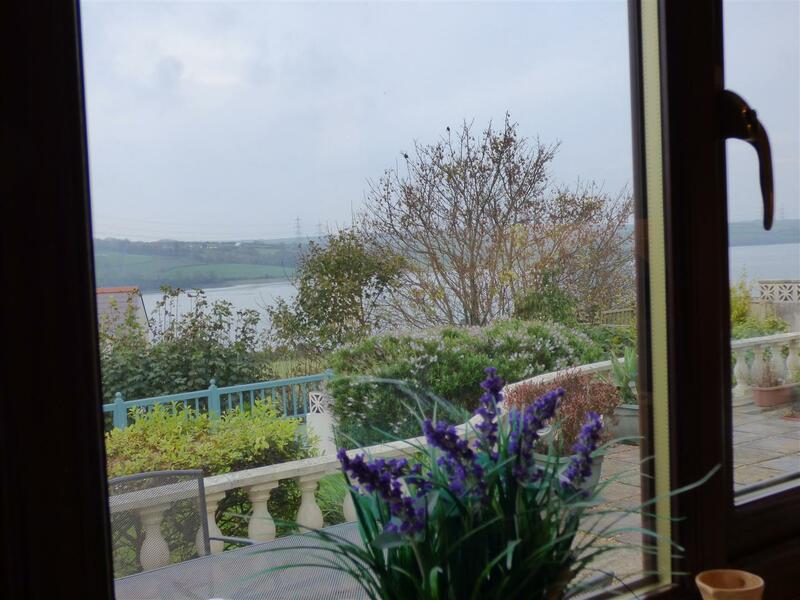 Open plan lounge, dining and conservatory taking full advantage of the far reaching views over Pennar Estuary and the countryside beyond. 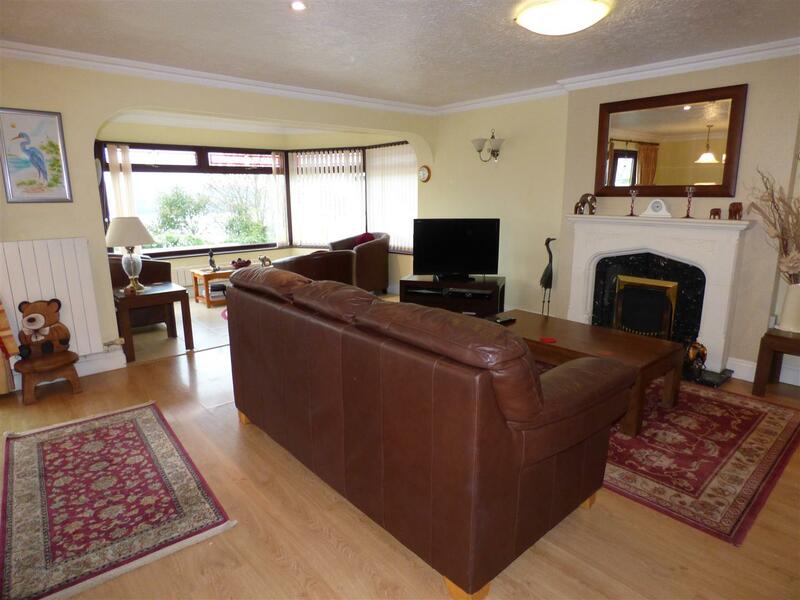 Lounge area with laminate flooring, ornate wooden fire surround with mantle, gas fire with marble effect hearth and backdrop. 2 inset ceiling spotlights, one ceiling light, 4 wall lights. 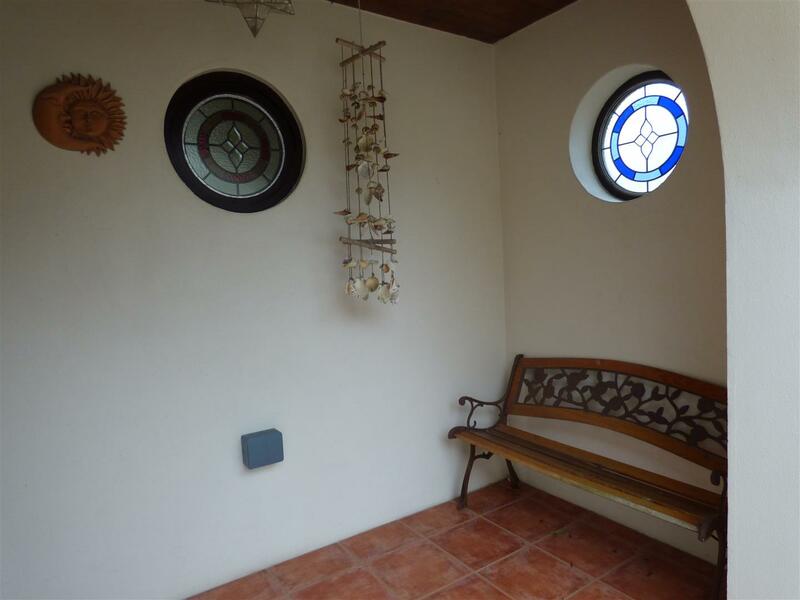 Radiator, unique round stained glass window towards outer porch. Archway into conservatory area with tiled flooring, 5 uPVC wood effect windows which take full advantage of the surrounding views, with stained glass inserts above each window, radiator and 1 inset ceiling spotlight. The dining area Upvc wood effect french doors out onto the patio area, again taking full advantage of the stunning views. Arched serving hatch into the kitchen, 2 pendant lights, radiator and oblique paned glass door leading into the kitchen. Kitchen with tiled flooring and a range of cream floor and wall units, one glazed display unit. 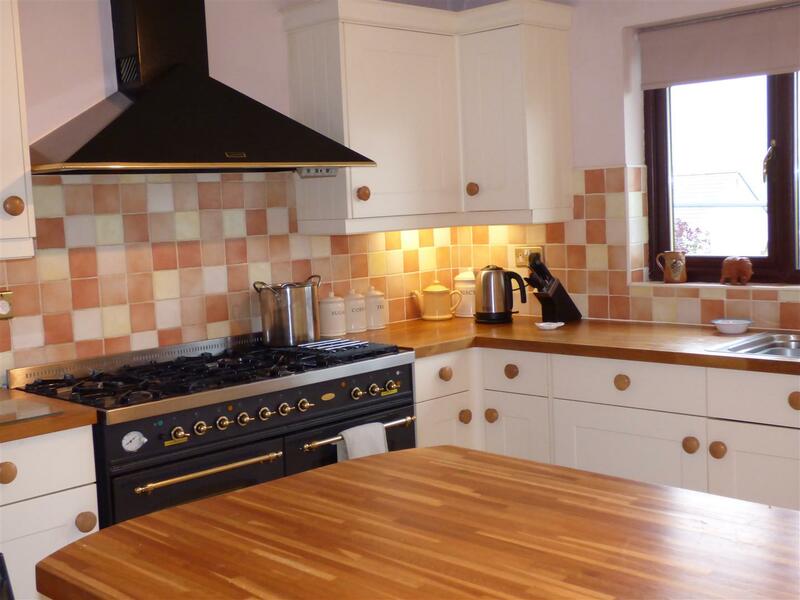 Wood effect worktops with tiled splashbacks. Large Britannia range cooker with Leisure extractor fan over. Integrated fridge freezer with space for washing machine. Stainless steel right hand drainer one and half sink, with stainless steel mixer taps. uPVC double glazed wood effect window overlooking the garden, and once again, taking full advantage of the views. uPVC wood effect stable door leading to the garden. 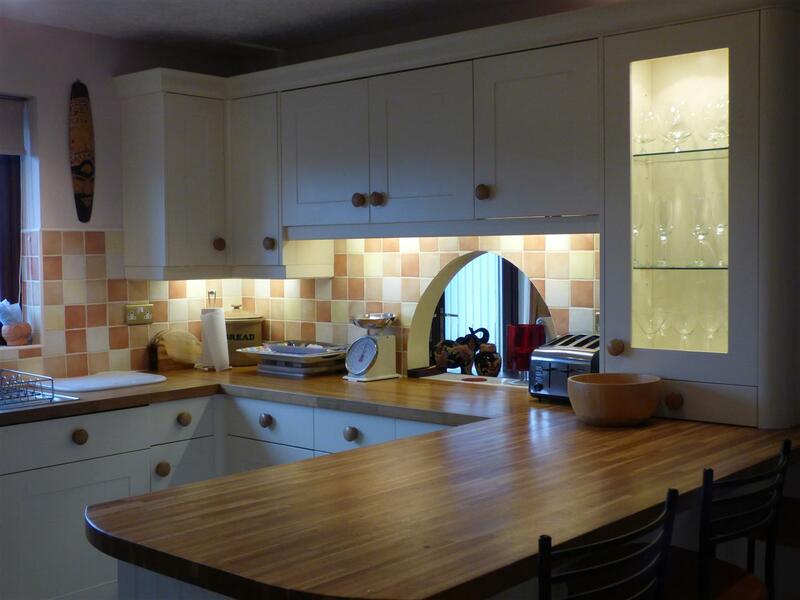 Breakfast bar with wood effect worktop over. Integrated dishwasher. Laminate flooring, over and around bed cupboards with single wardrobes and shelving on either side. 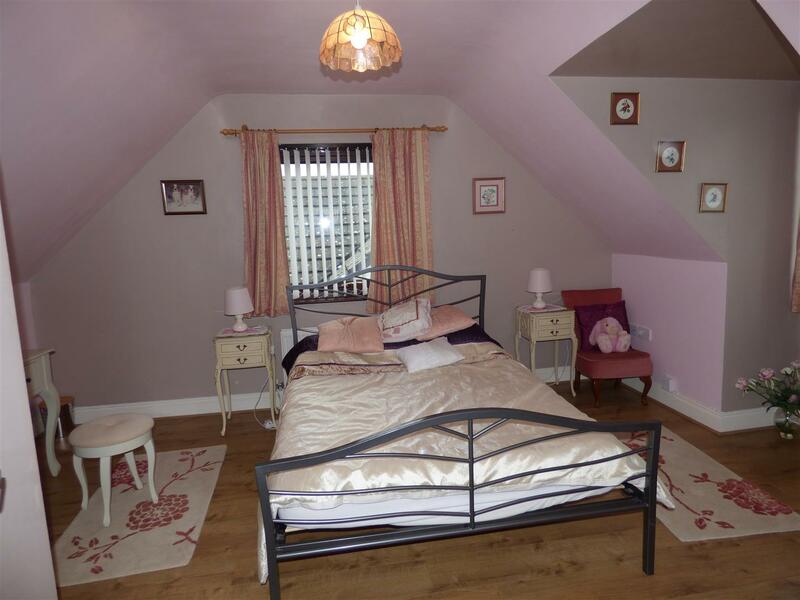 3 ceiling spotlights uPVC double glazed wood effect window to front, radiator, door into en-suite bathroom. Fully tiled walls and floors. Low level wc and bidet, separate shower cubicle with insert ceiling spotlight. Opaque uPVC wood effect double glazed window to side, radiator. Archway into the bath area, with large air jet bath with gold effect side of bath mixer taps. uPVC opaque double glazed window to side. Pedestal wash hand basin with gold effect mixer taps, mirrored vanity unit over sink with two spotlights, gold effect bathroom accessories. White heated towel rail, door into hallway. 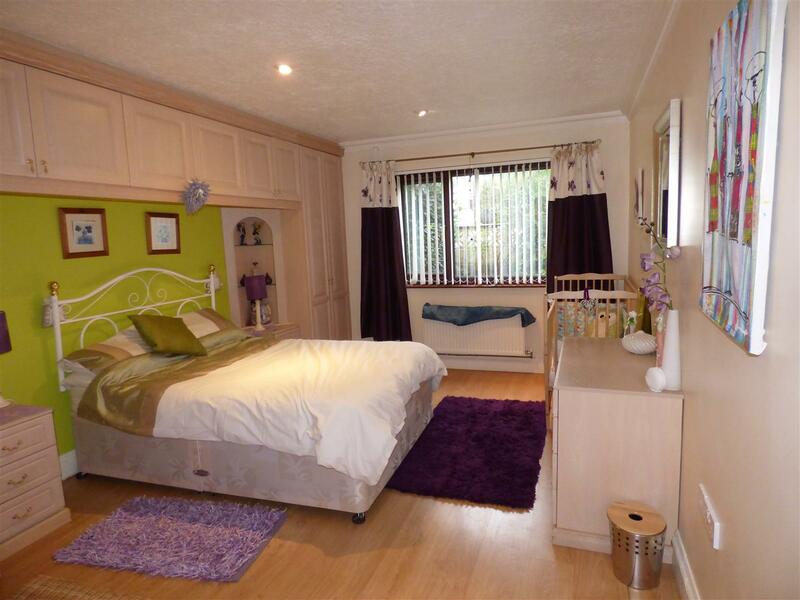 Laminate flooring, over and around bed cupboards and shelving, with two double wardrobes either side. 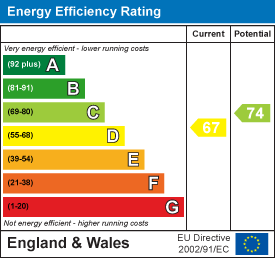 Radiator, uPVC double glazed wood effect window to front. 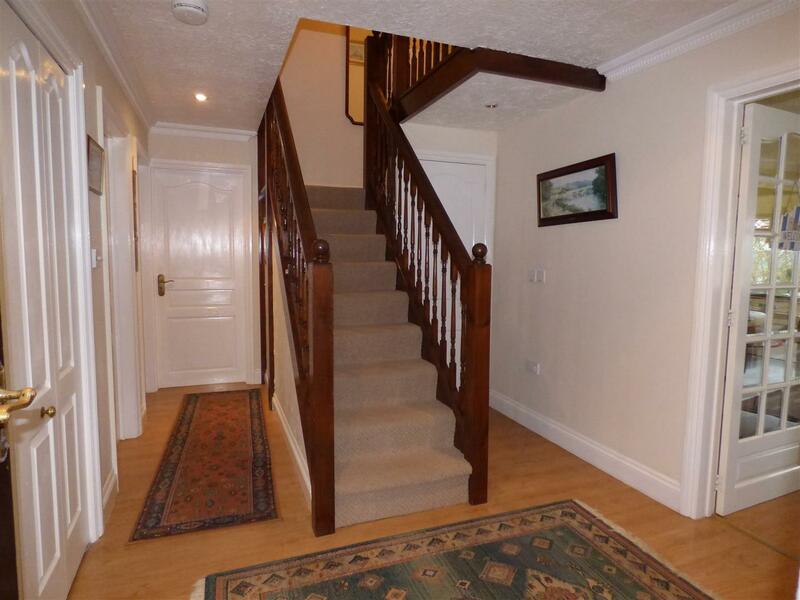 Stairway up to landing area, carpet flooring with radiator and two inset spotlghts, and lockable storage cupboard. 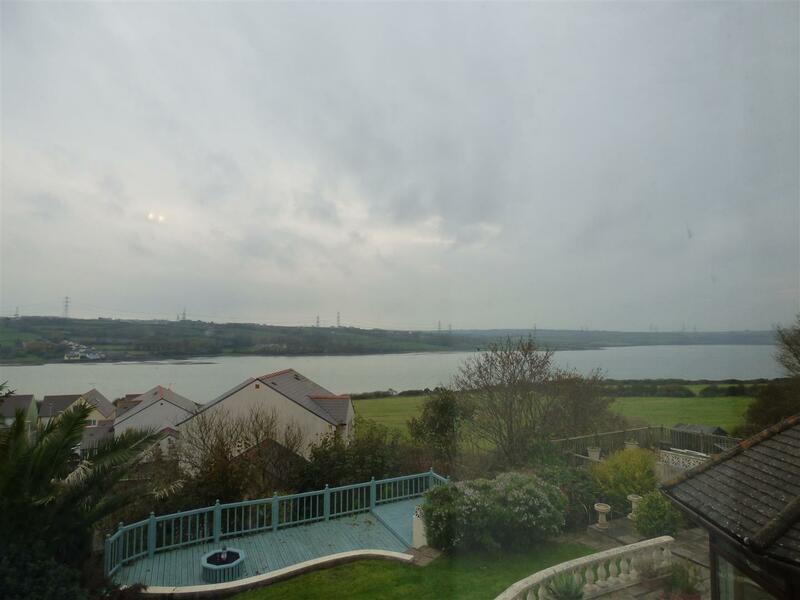 Laminate flooring, sloping ceilings, uPVC double glazed window to front, once again this takes in the fabulous estuary and countryside views. Radiator, uPVC wood effect double glazed window to side. Small eaves storage cupboard. 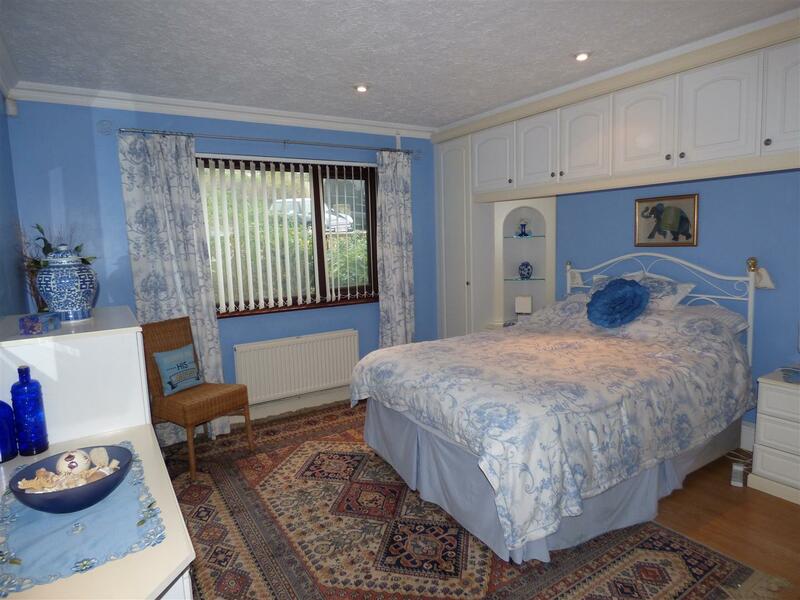 Carpet flooring, sloping ceiling, radiator, uPVC double glazed window to side, with fabulous views. Tiled flooring, half tiled walls, Sloping ceiling with double glazed velux window, to rear. Pedestal wash hand basin with gold effect hot and cold taps, mirror over with 2 wall lights inserted. Shaver point to side of mirror. 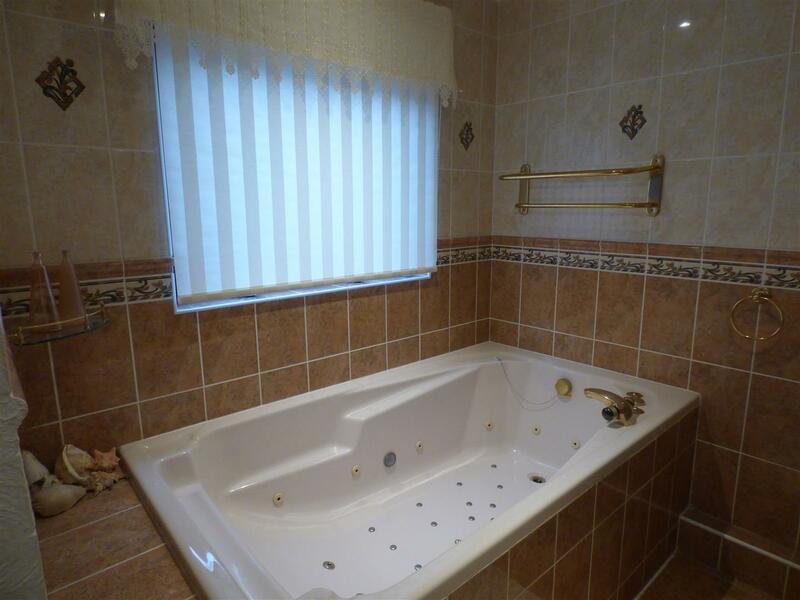 Low level wc, radiator, panelled bath with gold effect mixer taps and hand held shower attachment. Single garage with a rear partition housing a utility and storage area. The front of the property has a tarmac driveway leading to the garage, gateway to the rear of the garden. With a walled frontage with mature trees and shrubs, is a gravelled pathway which leads to a gate, leading to the back door,. and another gate leading to the rear garden. 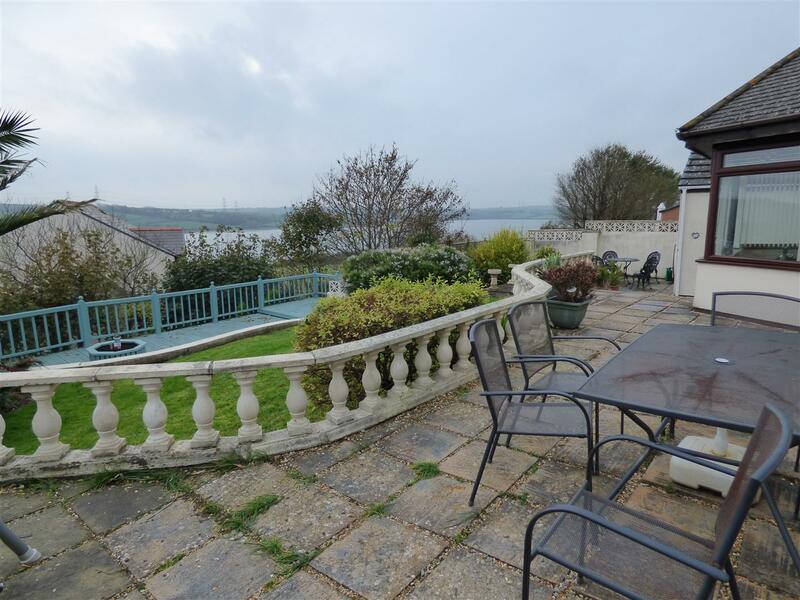 The rear of the property has a patio with attractive balustrade, steps leading down to a lawned area, and steps leading to a decking area, which is the width of the garden. 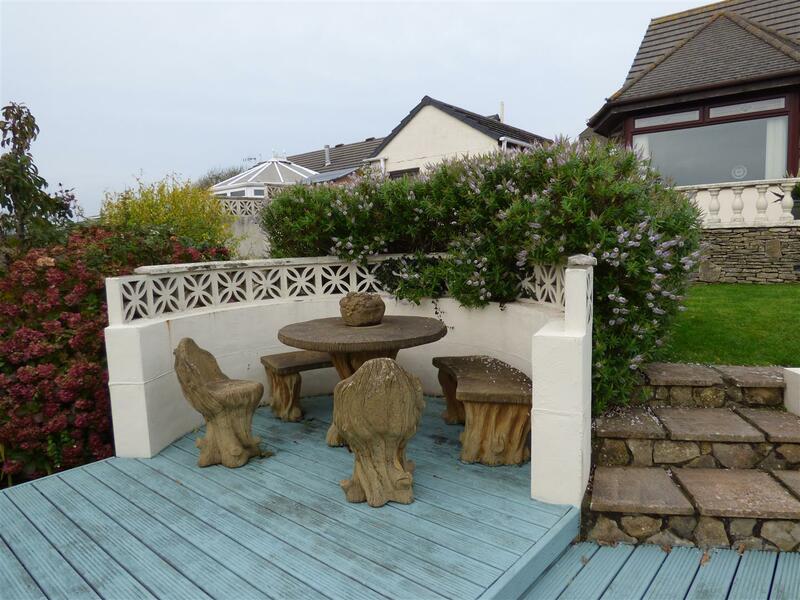 Lots of opportunity for seating areas to enable you to sit and enjoy the wonderful scenery and sea views. Mature established trees and shrubbery are in abundance.